Amazon has announced that all users of Fire TV devices will now be able to browser the web through Firefox and Amazon Silk browsers. While the Silk browser was made available for download at the end of last month, the addition of Firefox is new. The move comes shortly after Google decided to drop YouTube playback functionality through the YouTube app on the Fire TV. 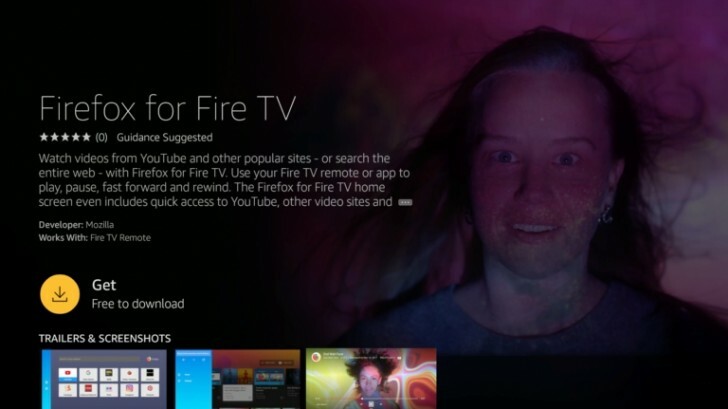 Of course, the very first icon you see when you install and launch the Firefox browser on Fire TV is YouTube. Hilariously enough, this does not even launch the website but instead opens a YouTube app identical to the one that is about to be discontinued right within Firefox itself. The implementation is really weird because once you launch this you can't go back to the Firefox browser and even going back to the homescreen and clicking the Firefox icon only launches the YouTube app again. I had to wait for some time for the app to be cleared from memory, after which I could access Firefox again. Out of curiosity, I decided to open YouTube in Firefox the old fashioned way by typing in the URL. This opened the mobile version of YouTube and the experience here was really bad. In fact you will often be seeing mobile versions of sites here, since this is essentially Firefox for Android in landscape. I couldn't test the Amazon Silk browser as it's not available in all regions. In the end, this really just seems like a workaround to get users to access YouTube long after Google has pulled the plug on January 1, 2018. It remains to be seen if Google will try to do something about this workaround.